I got to take the creative lead on this story. It took about two months of prep to gain shooting permission and to coordinate with the paranormal investigator. This was a very fun shoot, I had no idea that Santa Clarita had its very own ghost town. When I arrived, it was like stepping onto a post-apocalyptic film set. It's definitely a very cool location with an amazing history. This story was shot over the course of 4 days. The main bulk of the video was shot on the first day. The famous opening shot was done by attaching my iPhone to a suction cup phone holder to the base of a car and shooting with the time lapse feature and driving slowly down the road to create a gliding effect. The whole place was an amazing abandon landscape of what used to be. Established in 1876 by Charles Alexander Mentry as California’s first commercially viable oil well, the oil boom town thrived until the 1920’s when production began to slow, and its inhabitants started leaving the area in the early 1930’s. 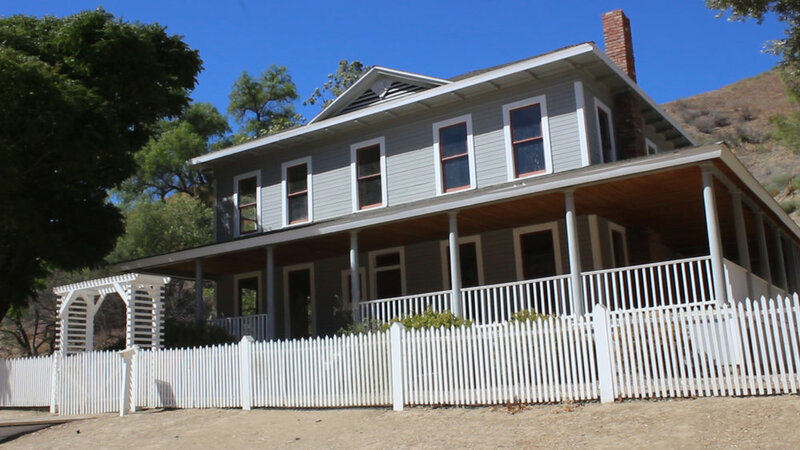 Rumors that the now deserted town may be “haunted” by the spirits of its past residents have swirled in the Santa Clarita Valley and beyond for years, catching the attention of real-life paranormal investigators like Kimberly Demmary of Camarillo. A member of an all-female “ghost hunting” team called the Paranormal Housewives, Demmary has participated in three separate investigations at Mentryville since 2013, and what she’s experienced there keeps her coming back for more.